Healing. I had knee surgery 2 weeks ago. Today, I get 31 staples removed. Progress is slow. And steady. 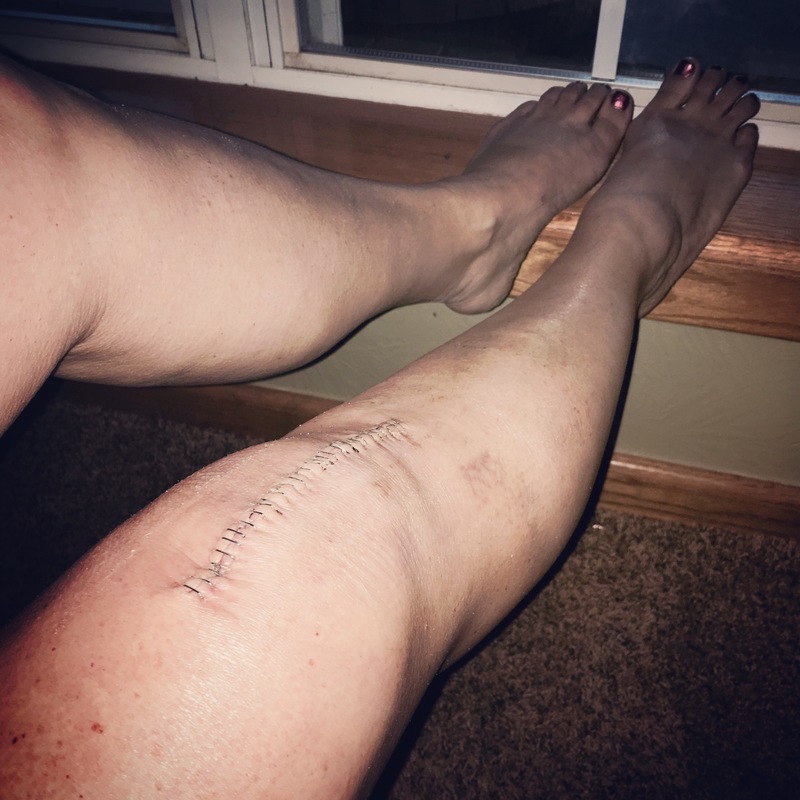 My friend, Lisa, had the same surgery about a week before me, and another girlfriend, Candy, had her knee renovation a while back. Gutsy girls that have helped me like crazy! So, my mind has been stuck on healing. Some days have been good and some not so good, but all have reminded me how I love the gift of a morning. No matter how adventurous or how mundane life may get, the reality is that when new mercies flood in with each rising sun, possibilities really are endless. You can greet it in knots, or bleeding, or stapled together or broken, but as long as you’re ready to do the work that healing requires … give room to His Holiness, make a change, follow the guidance, serve one in need … or serve a cause, let go, … whatever the call, when I do my work-when you do yours, the miracle so mercifully comes. Our Savior is good like that. Totally faithful. Ready yourself for a miracle.